This year, HelpTeaching.com offered its first scholarship opportunity to students around the United States. Aspiring writers in high school and college were invited to submit an informational article or short story for kids. After reviewing hundreds of entries, the field was narrowed down to ten finalists. The pieces submitted by the finalists deal with topics ranging from fitting in and learning life lessons to understanding where money comes from. Read on to discover more about the finalists. In addition to these passages from our scholarship finalists, check out the other informational stories and reading passages we have to offer. 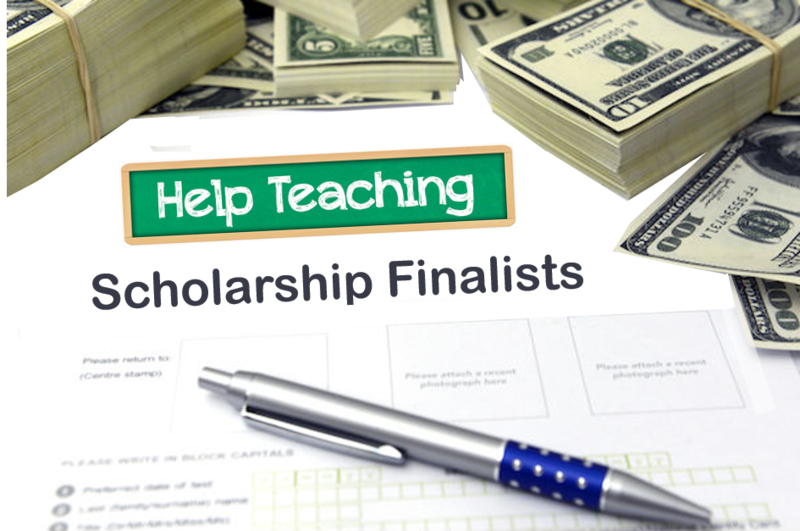 Think you have a great story for the HelpTeaching.com scholarship contest or know students who like to participate? Help spread the word about this scholarship by posting the information and a link to our scholarship page on your school or organization’s website. 1. Funbrain Reading offers games to help students brush up on their grammar and reading skills. Teachers and students will also find digital graphic novels and excerpts from popular children’s books. 2. Scholastic Student Activities feature lesson plans and interactives for multiple grade-levels and subject areas. While the site covers multiple subject areas, many of the lesson plans are text-based, making them ideal for use in a language arts setting, particularly when it comes to introducing students to informational or non-traditional texts. 3. Merriam-Webster Word Central is designed to help kids practice their spelling skills. The site uses games, a build-your-own dictionary feature and lesson plans to help accomplish that purpose. 4. Paragraph Punch helps students learn to write a basic paragraph. This site is ideal for students in upper elementary school. 5. Storyline Online features videos of members of the Screen Actors Guild reading popular children’s stories. 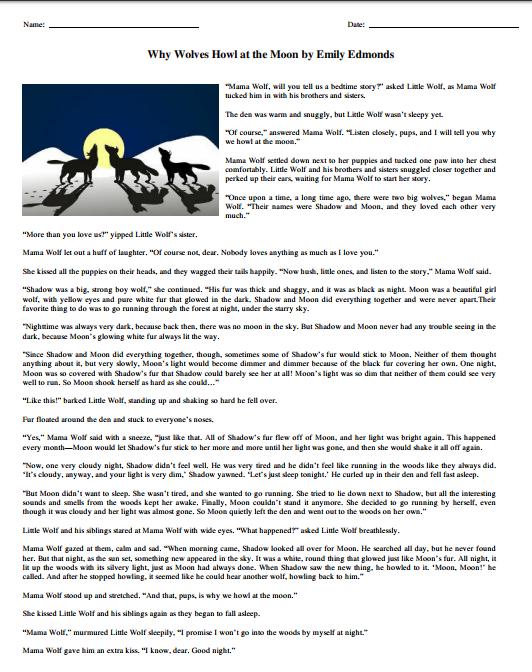 It is a great site for getting students to read and also offers a new way to present books to students in the classroom. 6. Math Playground is full of games designed to help kids practice their math skills. Activities feature a range of problem types and many are aligned to the Common Core State Standards. 7. Figure This encourages families to get involved in learning math skills by offering fun challenges for them to complete. Teachers can also adapt many of these challenges for use in the classroom to help students build some real-world math and problem-solving skills. 8. Math Cats offers a fun math fact every day, as well as numerous activities designed to help kids learn and explore more about basic math and problem-solving skills. 9. Funbrain Numbers contains multiple games for students. They can solve math problems while kicking soccer balls, racing cars and playing other arcade-style games. 10. Wonderville helps kids learn about science by answering questions kids may have and exploring unique topics in science. 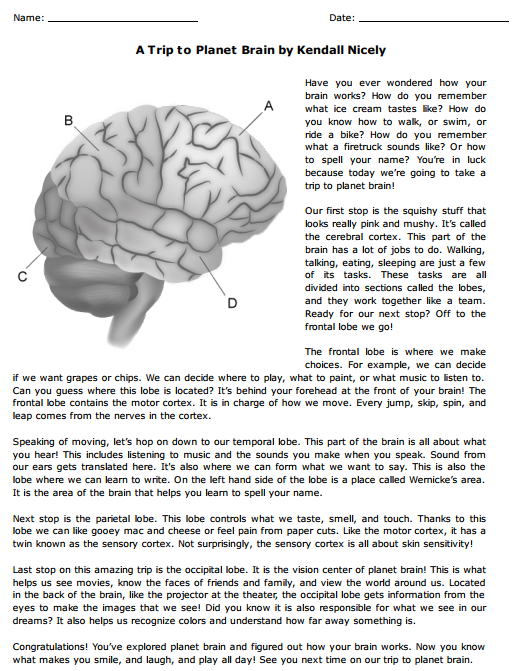 The site also offers a section on “Neat Jobs,” helping kids see some of the ways science is put to use in the real world. 11. Science Kids is full of fun science facts, experiments and other activities designed to help get kids interested in science. Teachers can also find lesson plans, videos and project ideas to bring science into their classrooms. 12. The Electronic Zoo allows kids to take a trip to the zoo without leaving the classroom. 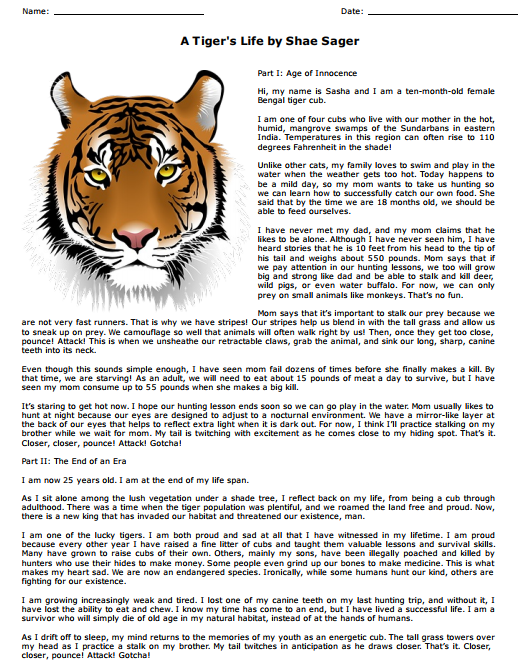 The site features information on all types of animals, from invertebrates to primates and many more. 13. Kitchen Chemistry shows kids how they can perform science experiments in their own homes. Teachers can adapt many of the experiments for use in the classroom as well. 14. BBC History provides games and activities to help make history fun for students. Special animations help students see what life was like during certain periods in history and interactive activities allow them to participate in history. 15. Geosense test students’ knowledge of world geography. Kids can play by themselves or compete against each other. 16. Xpedition Hall is an online interactive museum from National Geographic. Students can learn about geography as they explore the museum and teachers can download a special guide to help them use the content in their classrooms. 17. Archiving Early America provides teachers with videos and images to use as they teach students about early American history. Some documents and biographies are also available. 18. Essay Punch takes students through a series of exercises designed to help them learn how to write an essay, a crucial skill for all middle school students. 19. Scholastic News helps get upper elementary and middle school students interested in the news by providing them with news stories geared towards their interests and reading levels. 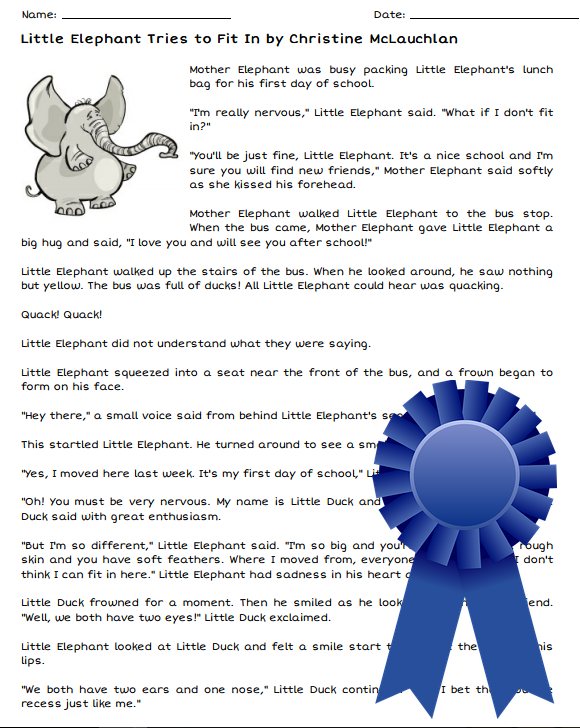 This is a great site for finding informational texts for students as well. 20. VocabularySpellingCity gives students a place to practice their spelling and vocabulary words. While the free options on the site are limited, students and teachers can build vocabulary lists and take quizzes to help them learn the words. 21. Sheppard Software’s language arts games help students brush up on their grammar and punctuation skills, as well as learn new vocabulary words and play fun word games. 22. Aplusmath.com features flash cards, games and worksheets designed to help students brush up on their math skills. While the site covers elementary and middle school skills, the way its content is presented is better for middle school students. 23. AAA Math offers math lessons for students at multiple grade-levels. Teachers at the middle school level can find lessons and interactive activities on topics such as measurement, exponents and geometry. 24. CoolMath is not just for elementary students. Middle school students can also brush up on their basic math skills and practice basic algebra and geometry skills through these fun games and interactive lessons. 25. MathMovesU is full of activities, games, information and lesson plans designed to help get middle school students interested in math. 26. Learner.org offers numerous interactives designed to help students understand complex scientific topics. While content is able for all grade-levels, some of most engaging interactives are geared toward students at the middle school level and cover topics such as DNA and divergent boundaries. 27. NASA Quest is focused on helping students learn to think critically and engaging them in scientific inquiry. Many of the activities found on this site are geared toward students in grade 5-9, making it an ideal resource to help students at the middle school level solve real-life scientific problems. 28. Physics Central offers a free comic book series called Spectra to help students learn about physics. The main character is a middle school student. 29. Exploratorium is a science museum that has filled its online site with websites, videos and other resources to help students learn more about science. Students can also view and interact with many of the museum’s exhibits online. 30. Eyewitness to History provides teachers and students with lesson plans and media files designed to help them experience history. Students can access a wide variety of primary source materials to see history as it really was. 31. Teachable Moment helps take current events and use them to teach students valuable lessons. These lessons are especially beneficial in the middle school years when students are learning to think beyond themselves and develop their understanding of how they fit into the world around them. 32. Mr. Donn’s Social Studies Site is full of lesson plans, quizzes, worksheets and other activities related to various countries, cultures and periods of history. Many of the resources are ideal for middle school students and their teachers. 33. Virtual Tourist helps students learn about geography by taking them on a behind-the-scenes tour of many different countries. This is not typical textbook information; instead, it is designed to help students actually see what a visit to these countries would actually be like. 34. Grammar Bytes helps students brush up on their grammar skills by going through sets of interactive activities. Students are then rewarded with off-the-wall virtual prizes. 35. Project Gutenberg features thousands of public domain texts in the form of free eBooks. Teachers can find numerous fiction and non-fiction texts to use with high school students. Students can also find texts to use for book reports or to help them explore specific subject areas. 36. Purdue OWL is the online writing lab for Purdue University, but it also features a lot of information that can be helpful to high school students. This should be their go-to resource when writing papers, citing sources and learning how to avoid plagiarism. 37. A Word a Day provides students with a new vocabulary word each day. Teachers can use this site as an opening activity in the classroom or just to help students build their vocab skills. Archives of previously featured words are available as well. 38. S.O.S. Mathematics offers over 2,000 pages of lessons and worksheets designed to help students improve their skills in high school math. Subjects covered include algebra, trigonometry, complex variables and matrix algebra. 39. Math Bits features tutorials related to high school math and computer programming. Students can also find information on how to operate graphing calculators. 40. Math Planet brings math to students through video lessons. Teachers can use these lessons in the classroom or students can watch them at home to help learn more about complicated math processes. 41. 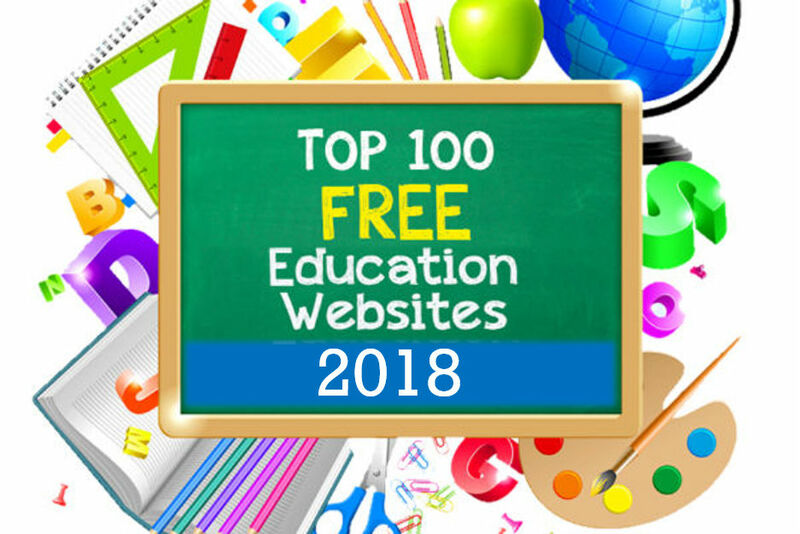 Analyzemath.com contains numerous free questions for math teachers to use in the classroom or students to use to brush up on their skills. 42. PBS LearningMedia features a wealth of videos, audio files and lesson plans related to science. Students can see the scientific principles they are learning about in action. While an account is required to view most of the materials, creating an account is free. 43. ScienceGeek.net was designed by a high school science teacher to benefit his students. Students can find review sheets, worksheets and problems related to high school chemistry, A.P. Chemistry and biology. 44. NSTA: The Science Teacher allows high school science teachers free access to some of the articles from its magazine designed just for them. Some of these articles, such as those about careers in science, can be used with students in the classroom. 45. PhET offers a variety of interactive simulations to use with science students. Simulations are organized by topic and grade-level, making it easy for teachers to find simulations to use to help bring science to life for their students. 46. PowerPoint Palooza contains numerous PowerPoint presentations for teachers to bring directly into the classroom. Topics cover a wide range of history and include collections designed to be used in A.P. European History and A.P. American History courses. 47. Teach with Movies helps engage students, especially high-schoolers by helping teachers find movie clips that relate to core topics. Social studies is only one of the many subjects covered on this site. 48. Econedlink offers free economics lessons for students at all grade-levels, but a majority of the lessons are focused on students in grades 9-12. Many feature interactive handouts and quizzes to help test students’ knowledge of economics. 49. Internet History Sourcebook is full of online texts for teachers to use in the classroom. 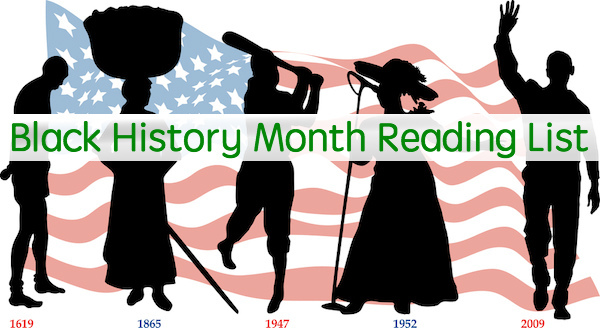 These texts are geared toward major periods in history and ancient civilizations and get help students get a glimpse of history outside of the textbook. 50. Help Teaching offers a wide variety of free printable worksheets and activities that use unique map images. Looking for more web-based teaching resources? Read Help Teaching’s articles Ten Social Studies Web Resources and Free Interactive Web Resources for Teaching Science.